I am a fun, loving and overly energetic. 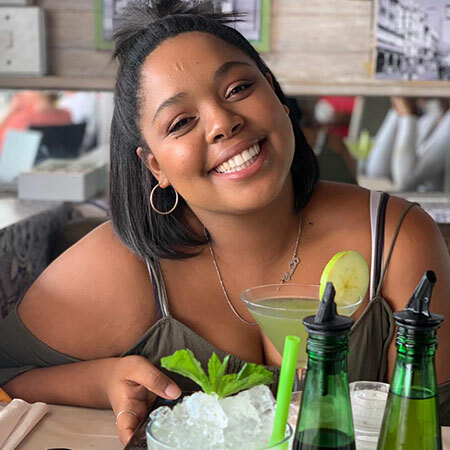 I spend most of my time doing research as I am a Masters student but enjoy spending the rest of my time with friends and family going out and exploring the beautiful city of Cape Town. I am a dedicated and hardworking person and enjoy being challenged and working with people. I often pretend to be talented in spheres other than academics so spending a day with me is sure to be filled with lighthearted fun and laughter. So if you can’t find me hanging around campus you’ll surely find me out in public pretending I can sing.